Employee empowerment is a management philosophy that emphasizes the importance of allowing employees to make independent decisions and act on them. Employee empowerment is the direct opposite of micromanagement. For employees to feel like their decisions matter, they need to feel accountable for the decisions they make on a regular basis. Your organization’s performance management practices play a large part in determining your level of employee empowerment. Instead of following the traditional pattern of one or two performance reviews each year, managers interested in empowering employees meet with them in regular one-on-one meetings throughout the year. This provides an opportunity for communicating about personal and team goals, holding employees accountable for their current responsibilities, and offering suggestions and coaching where needed to help employees improve. 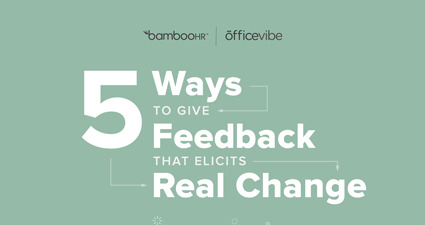 As employees respond to formal and informal feedback, the performance conversation shifts from retroactively punishing failure through compensation to supporting success and employee growth in advance. Employee empowerment helps employees do a better job in the moment while growing into a more productive member of the organization.